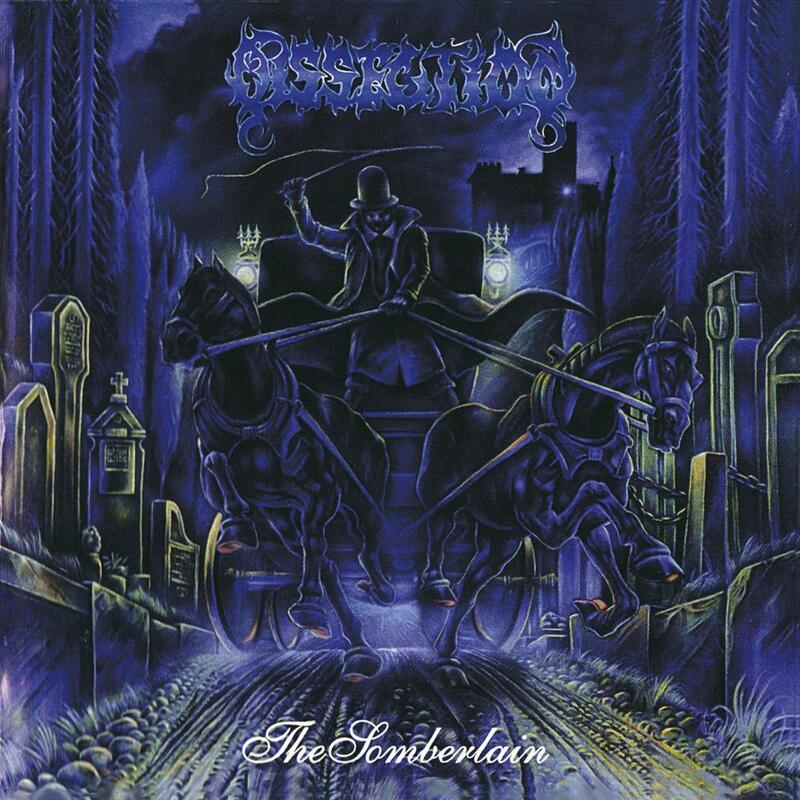 Dissection's first album, The Somberlain features dark, ambitious and sometimes uneven black metal. Several of the tracks make a lasting impression, but all of them demonstrate a refreshingly high professional quality for a band so young. Jon Nodtveidt, Dissection's troubled leader, was all of 18 years old when The Somberlain was created, and the album demonstrates the maturity of a mid-career talent rather than a neophyte. The best tracks stand the test of time as prime examples of the powerful forces that could be unleashed by the channelled intensity of black metal. Black Horizons launches the album and establishes Dissection's sound with over eight minutes of brooding clouds melodically gathering in dark greys and gaining momentum in the distant skies. The guitars of Nodtveidt and fellow axeman John Zwetsloot create an impressively impenetrable wall of sound, supported by Ole Ohman's controlled drums. The title track The Somberlain continues in the same vein, a thematic sequel of sorts to Black Horizons as the riffs gain energy and the black rain starts to pour down, creating a running stream thick with light-absorbing sludge. In The Colds Winds Of Nowhere brings Peter Palmdahl's bass to the forefront to shake any remaining life signs off the tree as Dissection unfurl a gloomy shroud of sound to obliterate the remaining faint light. Most interesting is Mistress Of The Bleeding Shadow, which borrows the main theme from Trouble's The Tempter, places it in an abandoned citadel, surrounds it with shuttered windows, padlocked doors and musky furniture, and paints the whole morbid scene in black. In as far as blackness can shine, The Somberlain occasionally sparkles.